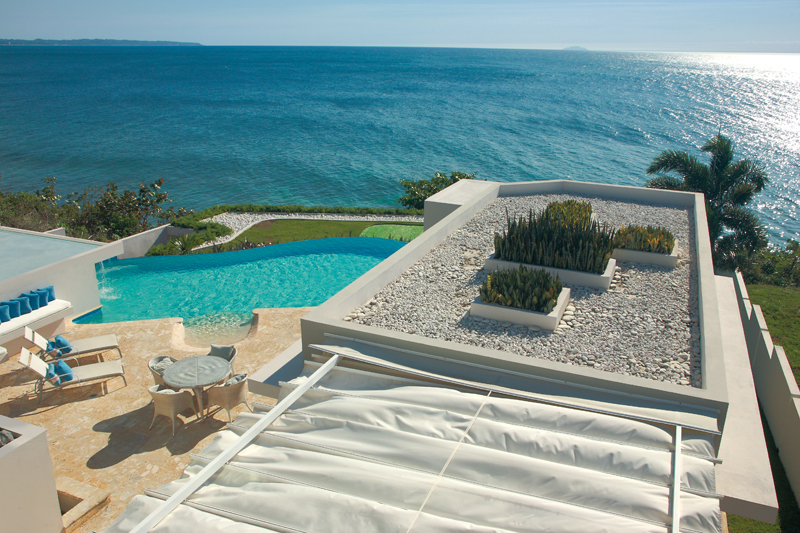 An exclusive and private villa located on the northwest coast of the island of Puerto Rico. Set on a private oceanfront landscape in a pristine area of the island. This is a brilliantly designed 7 bedroom modern villa that provides an escape from the everyday life, but without sacrificing top amenities which include; private theater room, 2 jacuzzi’s, infinity pool, 100% central air conditioning, state of the art smart home (wi-fi, data, smart tv’s in every area of the villa), game room, fully stocked premium bar*, gym, fully equipped business center, 2 exterior kitchens, and last but not least the best sunrises and sunsets in the island – all to be enjoyed from your private beach. 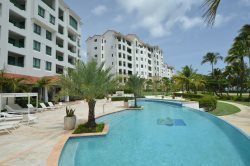 We know luxury villas, and this is one of the best tropical vacation destinations available anywhere. Luxurious dining spaces – both with impressive custom made tables, one which sits 8 and the other 6, for total formal dining accommodation of 14. The table for 6 overlooks the ocean, the table for 8 has a 27’ high ceiling and is located in a stunning main Villa open space area of 1,700 square feet.